Here at Con Noi, the flowers are blooming. We participated in the photo shoot as we prepare to update our advertising material and our welcoming brochures. 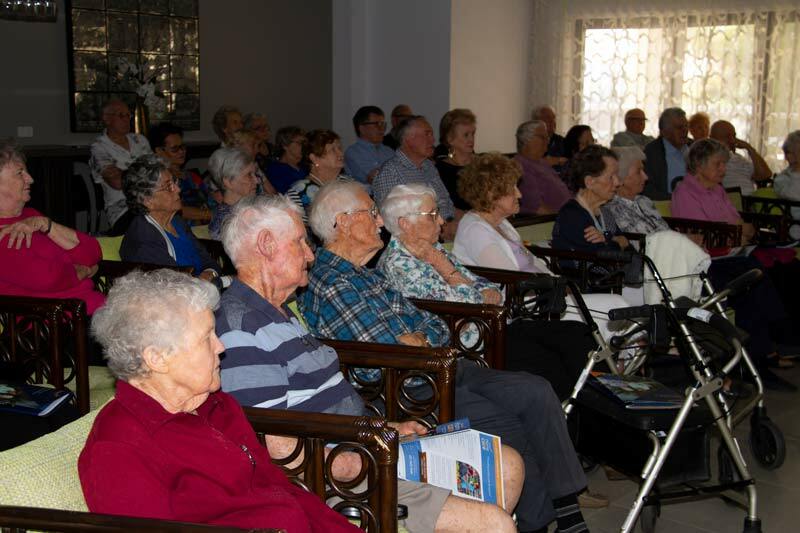 On Wednesday 19 September, Vacenti Home Care was launched at Con Noi. 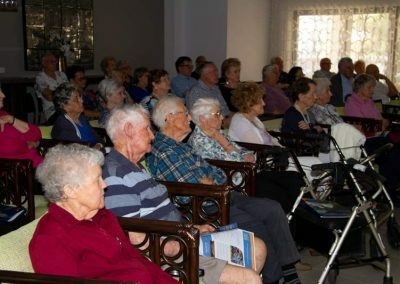 Julia, our guest speaker for the day, presented a very informative session about Home Care and the packages and services available to Con Noi residesnts through Vacenti. 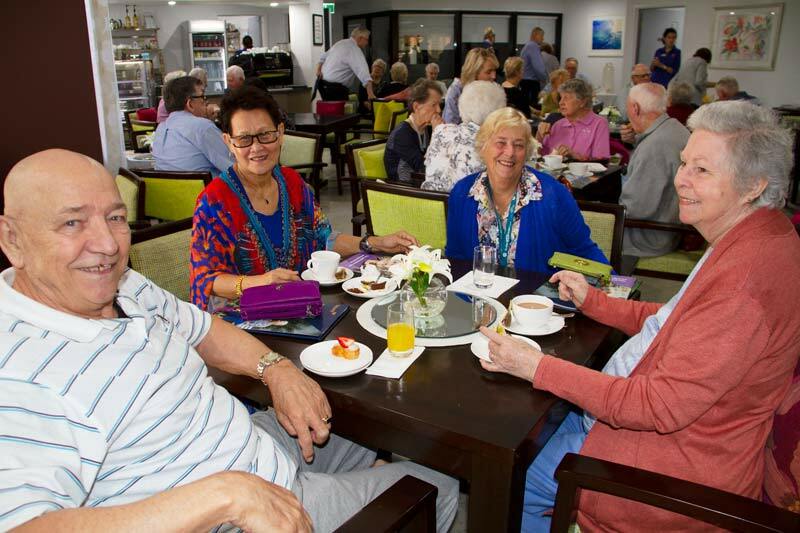 Louisa, Robbie, Kylie and the Admissions Team assisted with enquiries and the delicious morning tea. I would like to take the opportunity to thank Julia and the Vacenti Team for involving Con Noi in the inaugural Home Care Launch. 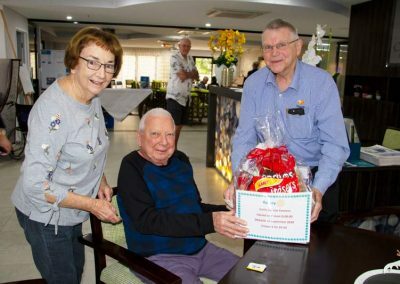 At the morning tea, a raffle was drawn to raise funds for the farmers. Thank you for your overwhelming support. Hazel McGuinness was the winner of the raffle. 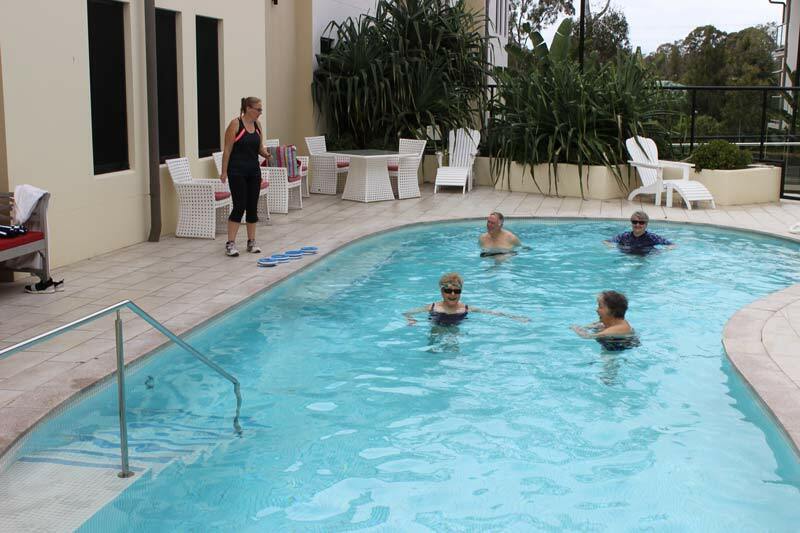 Aqua Aerobics Classes in the Con Noi pool have commenced with Melissa at 11.15am every Wednesday. Everyone is welcome to join the aerobics classes. Curently, the water temperature is 30 degrees. Melissa will be commencing exercise classes in the Con Noi communal bar area, from 2nd November. 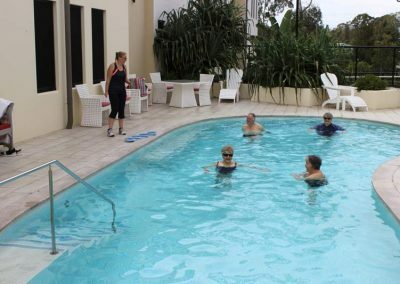 Please let Allen know if you would like to join the exercise classes. On 16 October, The Portofino Fashion Parade will be held at Con Noi. This is a wonderful opportunity to view the latest fashion, followed by scrumptious morning tea with friends. There will be the opportunity to win a Lucky Door Prize or $50 voucher. Allen will be on annual leave from the 3rd to return the 6th of November. Alison Quinlan, Vacenti Admissions Coordinator, will be the Relief Manager. We are continuing to receive enquiries about Con Noi apartments. If you are interested, please contact Allen on 0418 588 468. 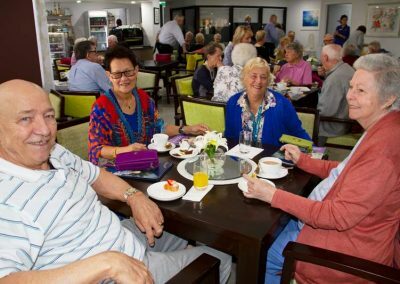 Con Noi is associated with Vacenti, a residential aged care and senior living provider in Brisbane.